Josef Jindřich Šechtl (also spelled as Josef Jindrich Sechtl or Josef Schächtl) was born in Tábor on May 9, 1877 as the second of three children. His father, Ignác Šechtl, had opened his photographic studio in Tábor in 1876, and thus Josef Jindřich was influenced by photography from his childhood. After finishing lower high school in Tábor, Josef Jindřich was particularly interested in chemigraphy (a method of printing photographs). At the age of 14 he started working as a trainee in the polygraphic factory of Jan Vilím in Prague. Later he changed jobs to work as a photographer in the studio of František Krátký in Kolín. His certificate of a completed apprenticeship, written in 1906 by his father, also certifies his studies in the Šechtl & Voseček studios in the period 1892 – 1895. At 22, after serving in the army (1898 – 1899), he started work in the affiliated Šechtl & Voseček studio in Czernovice, at Bukovina. Since the photographs from the Šechtl & Voseček studio are not usually signed by the particular photographer, it is not clear which photographs taken during 1897 – 1911 were taken by Josef Jindřich or Ignác Šechtl. Josef Jindřich’s influence on the work of the studio is however apparent. Soon after the start of his career, the studio started to publish large photo essays on important events, and produced postcards signed Šechtl & Voseček. The earliest of these photo essays — such as the Sokol gymnastic festival (Slet), or the arrival of Austrian Emperor Franz Joseph I — contained about twenty photographs each. But the essays quickly grew larger, and the Regional Exhibition in Tábor in 1902 was recorded in over 100 photographs. The main source of income for the studio however remained its studio work, in which Josef Jindřich excelled: despite the provincial location of the studio, his works were comparable with those of the best Czech portrait studios. His work is influenced by photographic pictorialism. His photographs express the personality of his subjects, often with a gentle sense of humor. Josef Jindřich became a partner in the Šechtl & Voseček studio in 1904 and took complete control in 1911 after the death of his father. Under his lead the studio prospered, and in 1906 he opened an affiliated studio in Pelhřimov, while the studio also participated in the Austrian Exhibition in London. In 1907, a new and modern studio was built on the main street of Tábor. The photographic work of Josef Jindřich was very much influenced by Anna Stocká, whom he married in 1911. Anna loved art, and thanks to her charm the family befriended several artists living in Tábor, in particular the sculptor Jan Vítězslav Dušek. In 1912 Josef Jindřich and Anna’s daughter Ludmila was born, and all seemed well. Josef Jindřich didn’t serve in the army during World War I, and thus had a chance to record life in Tábor during this period, including the fire that significantly damaged the Tábor studio in 1917. He recorded the fire in a unique photo-essay, with several snapshots made on small-format sheet film, and for a record, a “reconstructed scene” made afterwards as an exact reconstruction of one of the snapshots, on a 13×18 cm glass plate negative. Much more disastrous for his life than the fire was the death of Anna in 1925 just six months after, and precipitated by, the birth of their son, Josef Ferdinand Ignác. 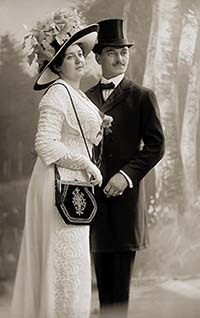 His second marriage, to teacher Božena Bulínová, in 1926, wasn’t as happy; and Josef Jindřich began to concentrate more on work in the studio and less on family life. In 1928 Josef Jindřich bought a Leica camera and started recording life on 35 mm film. As the Leica camera had only gone into production in 1925, he thus became a pioneer of Leica photography in the Czech lands. During the life of Josef Jindřich, photography changed from a job that could be taken up and practised fairly freely to a regulated craft: first for portrait photography in 1911, and later in 1926 it was declared a full-scale craft, requiring apprenticeship and a permit to practice. In 1948, the new communist government socialized all services, including photographic studios. The Šechtl & Voseček studio was turned into a syndicate and nationalized in 1951 and, as a former tradesman, Josef Jindřich Šechtl was granted a small pension (200 Kčs per month). 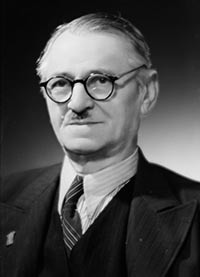 Josef Jindřich died in Tábor on February 24, 1954 , aged 76 years.